The GEICO Challenge Grant has inspired donors from all over the country to reach out and help children, like Brooke, fight to live happy, healthy lives. Thanks to donors like you, every child gets the life saving care they need at Children’s. But we still need your help to make sure no child ever gets turned away. Miracle Makers are people who make a financial contribution every month to provide a stable and reliable source of funding to help care for every child who needs treatment. Children’s National has an active adult volunteer program, and summer opportunities for high school volunteers. It takes only a small amount of time to make a big difference in a child's life. I'm ready to support children. Through your gift, you will improve care for children and support critical research. There are many convenient ways to get involved and donate. As a nonprofit, Children's National relies on the generous support of donors to improve the health of children in the nation's capital, across the country, and around the world. Give more kids a chance for a healthy life. Help meet the diverse health needs of families in our community. Ensure that every child in our area can receive the same level of care, regardless of their family's ability to pay. Help cover the costs of specialized care, family support, groundbreaking research, and more. Specialized equipment, facilities, and therapies that meet the unique needs of children. Covering the cost of uncompensated care for children whose families are uninsured. Research to develop innovative therapies, improve outcomes, and cure deadly childhood diseases. Community benefits like free wellness and diagnostic screenings, mobile vans, and public education about important health issues. Read success stories from families whose children have been treated at Children's National. 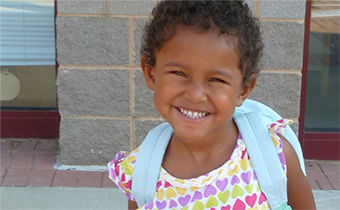 Read our blog to see how philanthropy is making a difference in the lives of children. Whether you make a large or small gift, you can make a difference for a child who is sick or injured. At Children's National, we take extraordinary care to steward our financial resources wisely. specialized equipment like a child-friendly MRI machine that looks like a submarine! Philanthropy also helps us close the gap between the services we bill and the amount we're able to collect. In fiscal year 2013, Children's National provided nearly $2 billion -- $1,949,162,000 in services for inpatients and outpatients, including physician care, diagnostic and therapeutic procedures, nursing care, and room and board. Because government and other insurance carriers do not pay the total charges for the care delivered, we did not collect $1,067,433,000. In addition, we provided $46,213,000 in uncompensated care, which is possible only because of philanthropy. A dancer, singer, and artist who has overcome cancer. Zoie's story begins on August 11, 2009, three days before her third birthday when she fell on the playground. After brushing herself off, she got right back up and continued playing. That evening during her bath, I saw that her left side was severely swollen. Since she wasn't in pain I decided to wait until the morning to see if the swelling would go down.